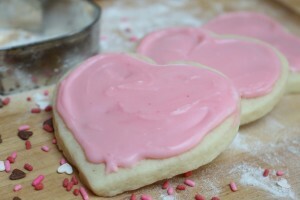 I make sugar cookies for just about every occasion. 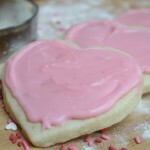 With Valentine’s Day just around the corner, I’m thinking I might need to make some of these this weekend. 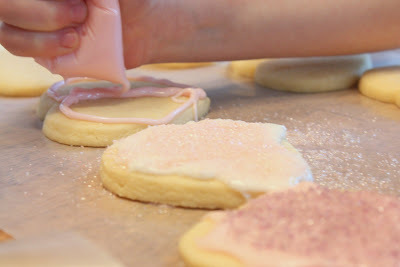 My daughter loves to help frost sugar cookies. She did a fabulous job with the snowflake sugar cookies that we made at Christmas. She tends to get frustrated when her lines don’t turn out as smooth as mine. I first started making these when I was about her age, so I’ve had a bit more time to practice. 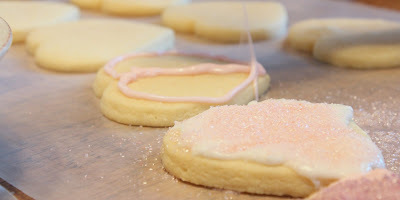 Sometimes I use decorator tips and pastry bags to frost cookies and other times I just use Ziploc bags with the tips cut off. 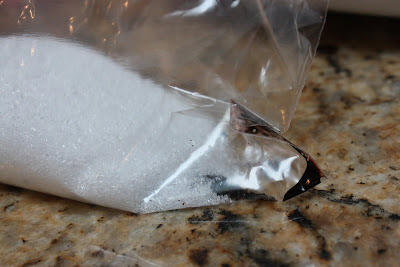 If you choose to go the Ziploc route, make sure you use freezer bags. Regular sandwich bags aren’t strong enough. 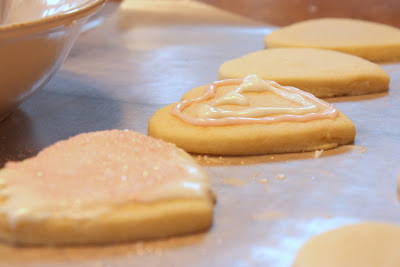 I love decorating cookies with my kids! 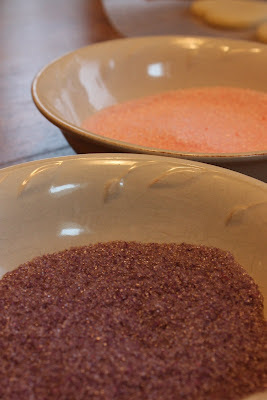 I usually buy my sanding sugar from Williams Sonoma, because I love the bright colors. 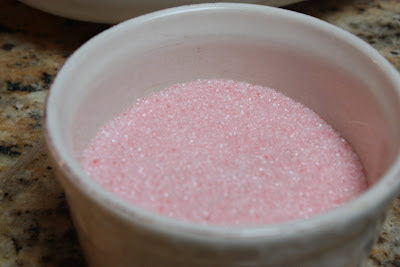 With a little sugar, food coloring, and an empty Ziploc, you can make your own sanding sugar. 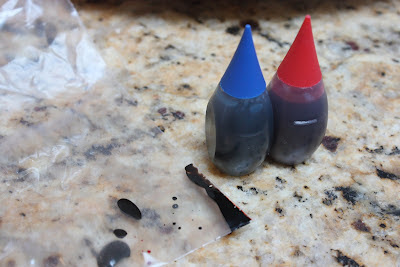 A cup of sugar and one or two drops of food coloring is all you need. 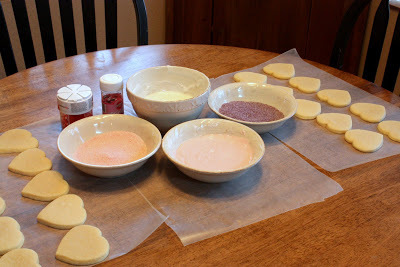 Shake it all together, in a Ziploc, until there are no lumps of color. 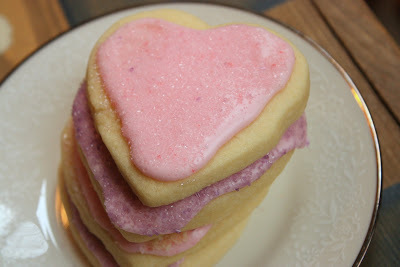 My color, for these cookies, wasn’t as vivid at the color from Williams Sonoma, but it sure was less expensive! 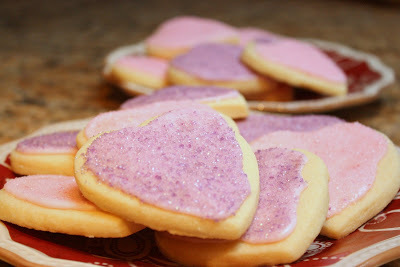 Here’s the recipe for the sugar cookies, if you haven’t seen it before.